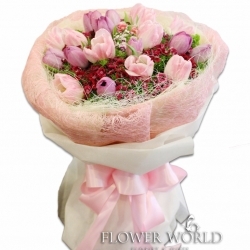 10 purple tulips arranged in a round design surrounded by colourful sweet william. 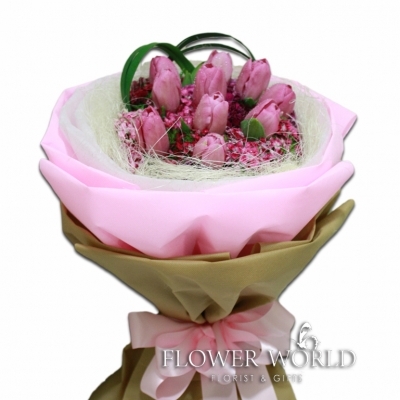 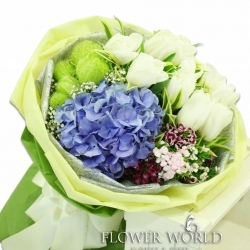 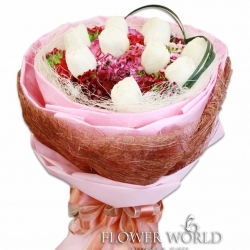 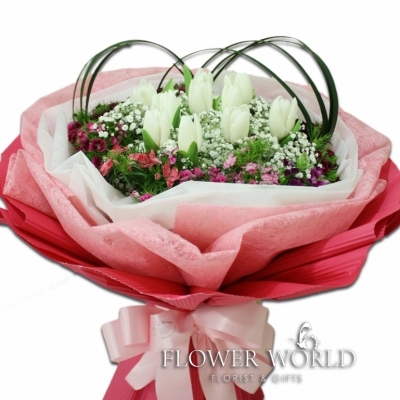 10 white tulips arranged in a round bouquet along with baby's breath and sweet william. 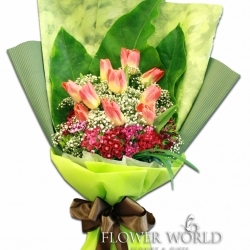 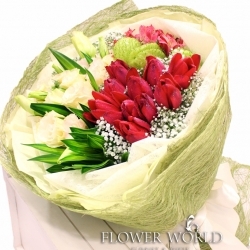 A bouquet of 10 White Tulips with Sweet William surrounds them.